clients are obligated to create an RMA before Newegg can process it. Client can create it directly from Newegg portal. 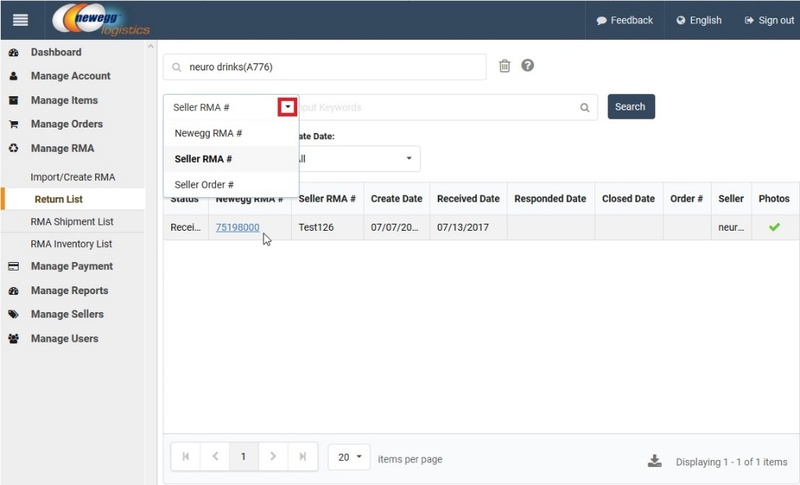 Seller RMA# is required, while client can add an optional Seller Order# as reference to each RMA created. 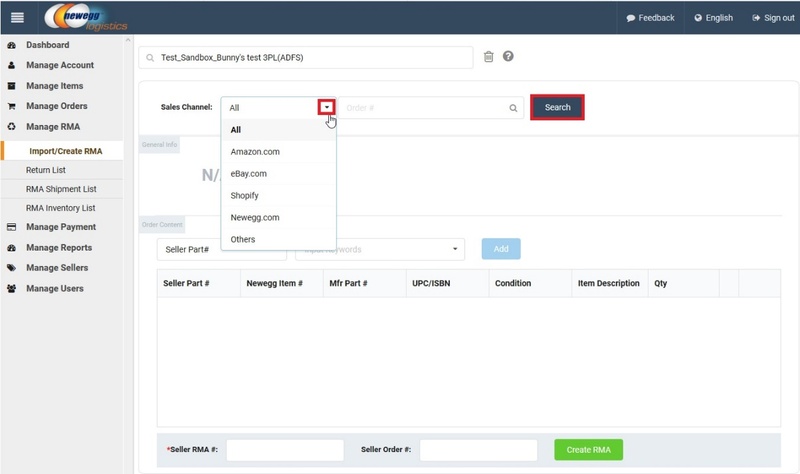 Clients can also import orders from other platforms, and created an RMA based on it. An Newegg RMA number is assigned to each client’s RMA created. Client search RMA items by Seller Part#, Mfr Part#, Newegg Item# or Item title. Then click Add button to add it to RMA order content. Client also input Qty of item, and keep adding another item until entire RMA completed. Client must input a RMA# before clicking Create RMA button to generate an RMA request in Newegg 3PL portal. Newegg portal will retrieve entire order from that platform if found. 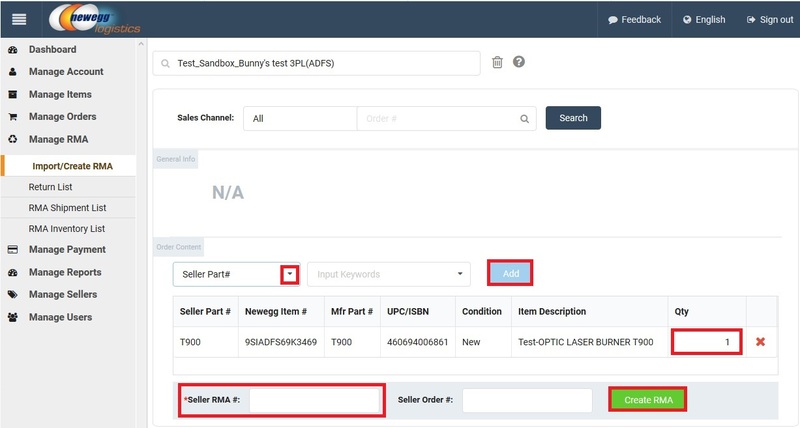 Client can update Qty of an item, or delete an item by clicking “X” symbol for RMA. 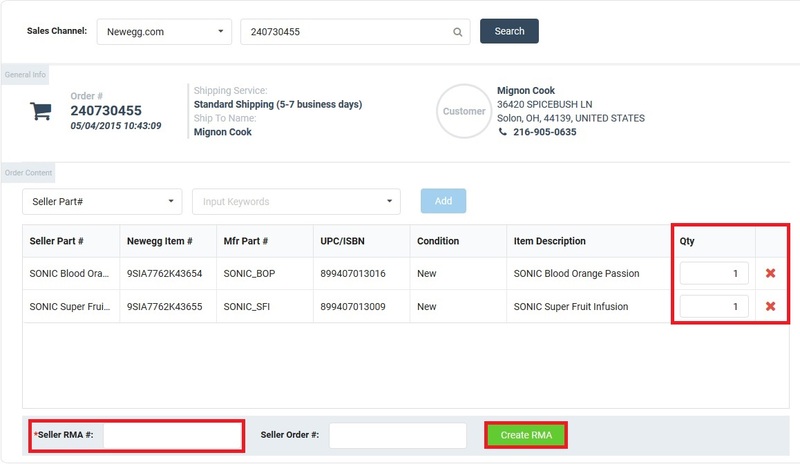 Any modification at order content will not impact original order at other platform. This is used to create an RMA in Newegg portal only. User can search RMA at Manage RMA > Return List by Seller RMA#, Newegg RMA#, or Seller Order # (if input upon RMA created). 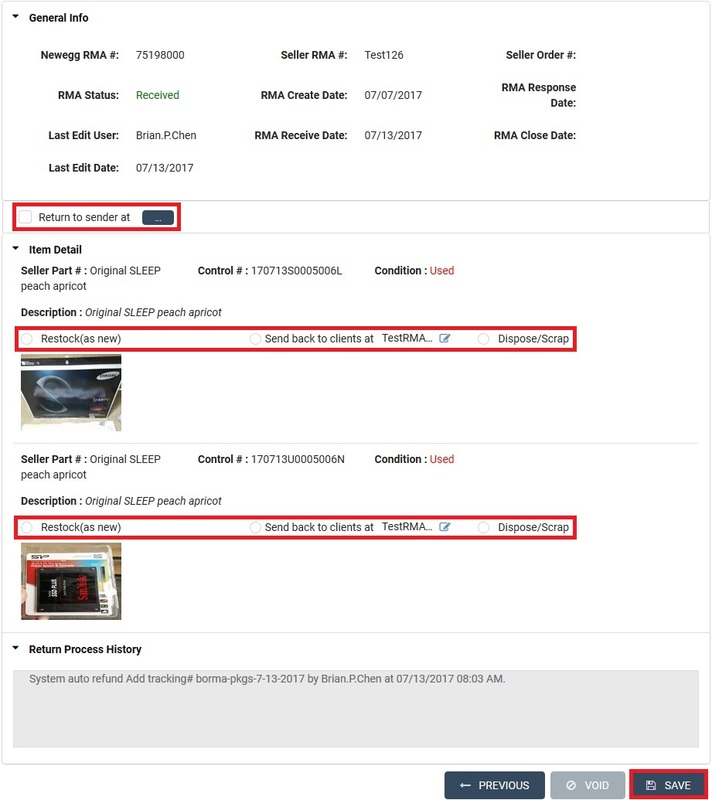 User can click any RMA case to see RMA details. [Return to sender] This option is available within 2 days after an RMA received at Newegg RLC. The entire RMA shipment/package can be returned to sender/customer of clients to a location indicated. [Restock] This option is for an individual RMA item to be restocked as new inventory for resell again. [Send back to clients] This option is for an individual RMA item to be consolidated and shipped back to client warehouse within 30 days. [Dispose] This option is for an individual RMA item to be disposed/scrapped on site. The decision for individual RMA item can be different from others of the same RMA. However, the decision(s) under the same RMA can only be selected and saved at the same time. Once the decisions are saved, it cannot be changed. Newegg RMA will process RMA soon.